The Cups are now World Famous thanks to the media making the original advert go viral. You’ve always wanted to read the phrase ‘England’ and ‘World Cup’ in the same sentence, haven’t you? Well this is the opportunity you’ve been waiting for. Wholesale Clearance UK is pleased to announce the arrival into stock a set of fabulously patriotic and commemorative cups....well kind of. These aren’t just any old cups – these are England cups and they are available to you as England starts their campaign in Brazil in the World Cup tournament 2014. This fantastic set of cups have been made by a reputable and highly recommended company in Dorset. 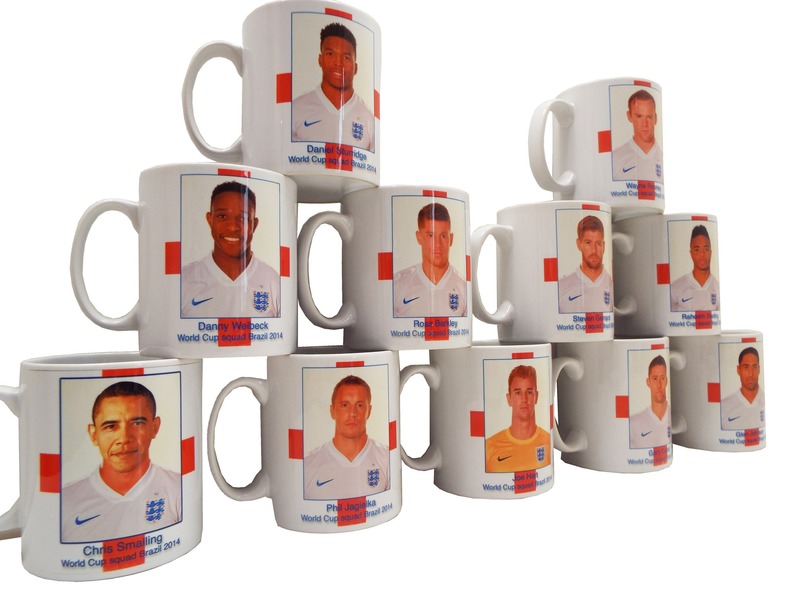 Wholesale Clearance UK is offering you the once in a lifetime opportunity to get your hands on our England mugs during the World Cup. OK, there is a teeny weeny backstory to this. The Dorset company in question (whose blushes we shall protect for now....maybe!) 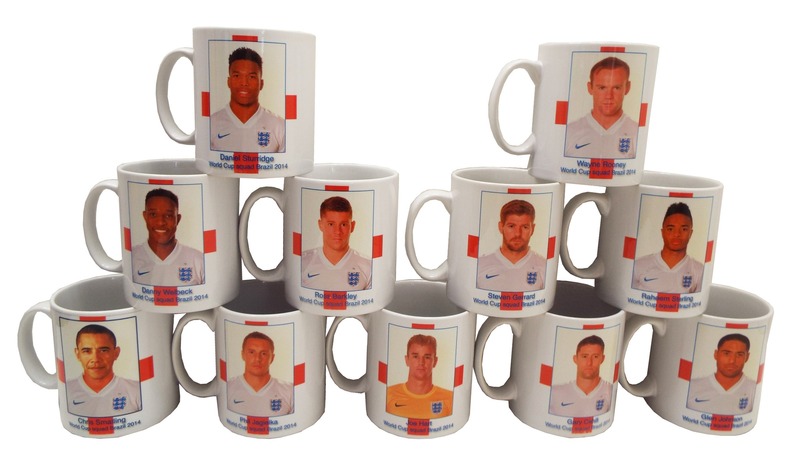 was given the seemingly easy job of sourcing royalty free pictures of each England squad player to use on the England mugs – along with other accompanying items such as England coasters, England mouse mats etc. They passed this onto to their young, bright eyed and bushy tailed new apprentice. The designs were proofed and signed off by the Boss, who had clearly had a heavy night with the lads playing poker and before he’d had his first vat of coffee the following morning. Due to our ongoing commitment to help local companies get their products noticed, last Wednesday 2,000 of each of the England items came into the warehouse. We eagerly unpacked them and on close inspection it turned out that the Chris Smalling cup had Barack Obama’s head on instead of Chris's. The apprentice claims that he used that well known search engine, Google, to source the pictures. The thing is he’s more of a rugby fan and not very clued up on football. 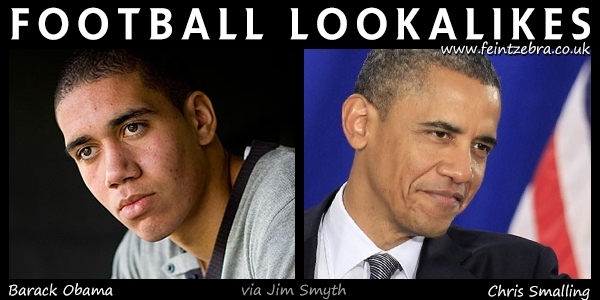 Suffice to say that when he Google image searched ‘Chris Smalling’ he copied the first picture he liked the look of and the result was that the President of the United States has ended up on an England cup instead of the English defender. That’s bad news for the Boss of the Dorset company in question and his dithering apprentice – but it is great news for you! You get first dibs on snatching up a piece of World Cup history. Who would ever believe that Barack Obama ever played for England? Please Note: All cups have been removed from sale.